The Stowe Street Arts Festival is so incredibly excited to have the Lost Nation Theater joining us this year! They will have a booth for you to visit where you can learn more about this great theater company, but they will also have musicians and cast members from their production of Woody Guthrie’s “American Song” performing on Saturday! They will be joined by local entertainers including Waterbury’s own George Woodard in singing a wide range of Guthrie’s classic, timeless tunes. The full show will run at LNT’s Montpelier City Hall Arts Center home, July 28 – August 14, but this SSAF performance promises to be a generous taste that will whet your appetite for more. 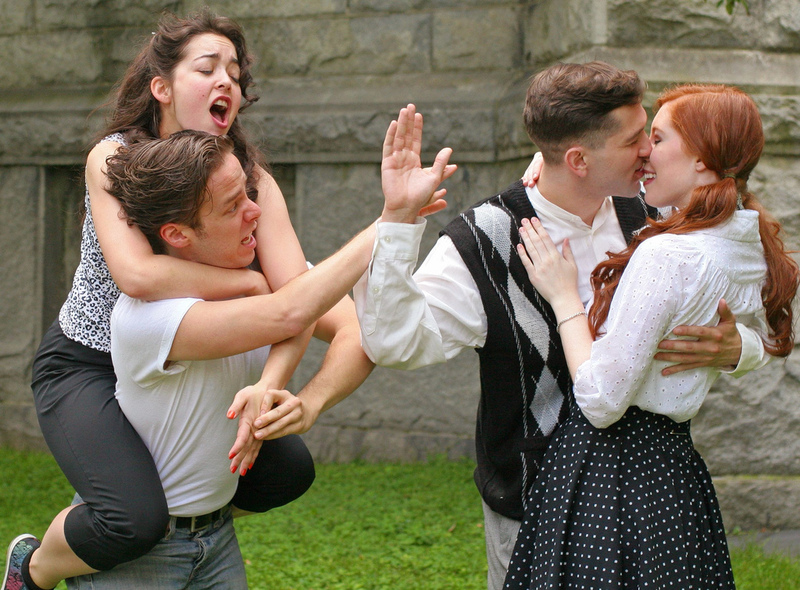 Currently the Lost Nation Theater is performing the Shakespeare classic, A Midsummer’s Night Dream through July 17. Check out this and the rest of their wonderful line-up for the rest of the summer and don’t forget that they offer educational classes like their Youth Full day camp! So support local performing arts by taking in a night at LNT or swing by their booth and watch them perform on Saturday, July 16 at the Stowe Street Arts Festival! This entry was tagged artists, local. Bookmark the permalink.